Lyrics of Evergreen Punjabi Song 'Sohni Lagdi' by Legendary Pakistani Singer Sajjad Ali (Gagi Bhai). Music of the Song was composed by Waqar Ali and was released in year 1999. Here we are posting lyrics to another evergreen song - a song which is still a test for fresh vocalists to check their skills. 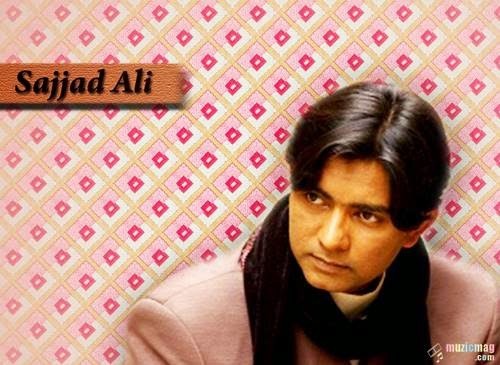 'Sohni Lagdi' by Legendary Pakistani Singer Sajjad Ali (Gagi Bhai) was released in his 1999 Movie 'Aik Aur Love Story' under the banner of Oriental Star Agencies Ltd. Music of the film was composed by Waqar Ali and Saira Khan played the female lead in movie. Later the song was re-released in album 'Sohni Lagdi (1999)' as a title track. Second Music Video of the track was released on MTV and all leading television channels. Even after 15 years of release, Sohni Laggdi is still fresh and far better than present day songs.